Birthday is one of the occasions worth celebrating for because it signifies that another year has been unfolded in a person’s life. 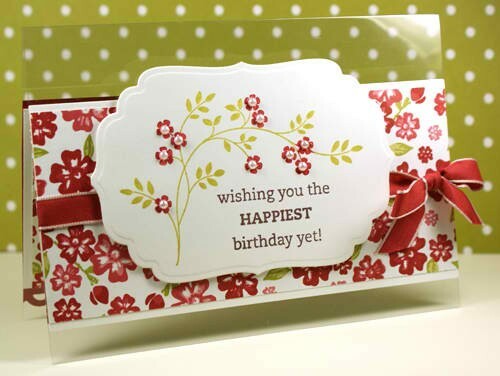 Birthday is also best celebrated when it is coupled with heartfelt and sincere birthdays thought and wishes. You come into the right place if you are looking for genuine birthday thoughts because we got a bunch of them neatly listed here. Enjoy reading and have fun sharing! Celebrate your natal day today. Celebrate being happy and cheerful every day. Happy Bday! May your birthday be filled with the warmness of sunshine, the cheerfulness of smiles, the echoing sound of laughter and the feeling of thoughtfulness and love. May your day be filled with wonderful and exciting surprises. Wonderful Birthday! I wish that the year ahead of you be filled with so much love and glee. Happiest day! 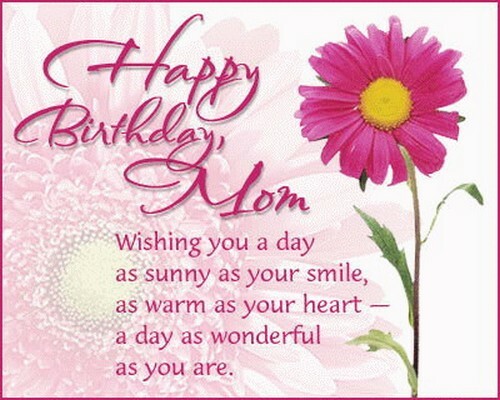 I hope this birthday of yours gives you lifelong memories that you can cherish and savor in all the days to come. I can count my friends on my hand but I can’t with the candles on your birthday cake. Best Birthday! May your day be filled with lots of happy hours of fun and your life may be filled with lots of birthdays. 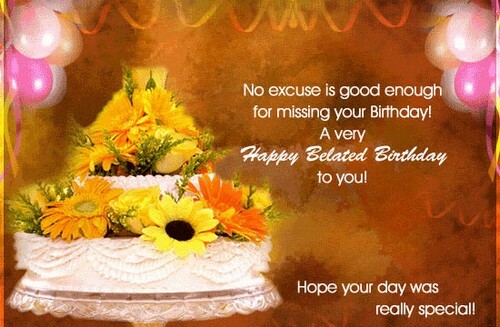 Wonderful Bday to you my friend who is now a year older but not a year wiser than me. Stay awesome! Your age is officially off the calendar now but your beauty is still off the charts. Hands down to that. Best Bday! I hope that you will float with extreme happiness on your birthday. Happy Birthday girl! Soar up high with a face full of smile. Best Bday! It is your day! Have a day off and enjoy this day because you deserve it the most! Happy Natal Day! Happy Birthday! I wish that this year will be the start of the greatest journey for you. A wonderful birthday celebration for a wonderful man like you. Happiest day! This day is as special as the one who is celebrating his birthday today. Wonderful Bday my friend! Your age is getting older but your face seems to be getting younger each year. Tell us your secret please birthday girl! Happy Birthday! Happiest Birthday to my only friend who knows how crazy I am. A friend everybody could ask for. Best Birthday! 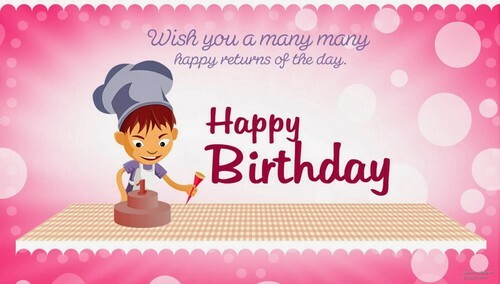 Bring the world on blaze with your wishes and use the fire to light the candle on your yummy cake. Happy Birthday! I hope that your birthday will be as fantastic and awesome as you are. Happiest Birthday! 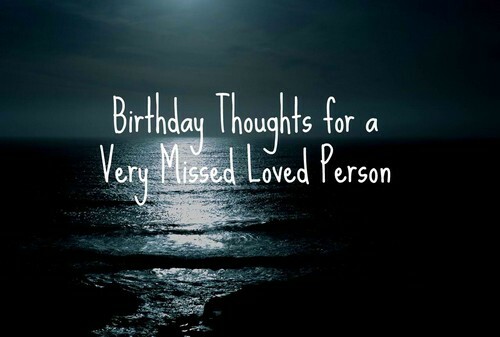 Sending you my wishful thoughts on your birthday. Happiest Birthday dear! Thinking of you alone on your birthday. Enjoy your day and stay pretty! Wonderful Birthday! I wish that this day will be extra special, extra happy and extra memorable. You deserve it for you are an extraordinary person. Happy Bday! I wish that you will have a one of a kind birthday celebration from the moment you open your eyes until you close them at night. Happy Bday! Have a fantastic and ecstatic birthday! Wishing all the finest in the world! You are the person whom I can’t afford to miss the birthday. That is how important you are to me. Happy Birthday! Cheers to another year of your incredible life. Happy Birthday! Have a cool and rocking day! Stay cool! Wonderful Birthday! Your new age undeniably looks good in you. You made me jealous. Best Birthday! Your age will make you older but at the same time it will make you wiser and bolder. Wonderful Bday! Good news no.1-it is your birthday. Bad news- you are older than me now. Good news no.2-you still look fresh and young. Best Bday! The world could not be any better if you didn’t arrive. You are a precious gift to the world. You are the man. You are the boss. Now, you are the host. Happiest natal day! May the happiness that you are looking for so long arrive today on your birthday. I wish you nothing but your happiness. Happiest birthday sweetie! I wish that heavens will give you the strength to blow those many candles on your birthday cake. Enjoy this day! I hope that today is the start of a marvelous year for you. Best Bday! Wishing you nothing but good health on your birthday. Happy Birthday! Be strong. Be loud. Be bold. Be you. Wishing you to have a bolder and bigger year ahead! Wherever you are, may you have a glorious day today on your birthday. Miss you! May your eyes be filled with tears of joy; may your heart be filled with loving wishes. Happy Birthday! Do not grow old. Do not grow up. Just enjoy this day because it is your natal day! The loveliest person deserves the loveliest birthday celebration ever. Wonderful Bday! Wishing you to have a good health, happy heart and enough wealth to treat us today. Best Birthday! Wonderful Birthday to my friend whom I love as much as I love bacon. Happy Bday! Have a blast and memories that will lasts. Things I like the most about you: you always a pizza, bacon and a burger in your lunchbox. Just kidding! You are my most favorite person! Happy Birthday! The world should better watch out, you just got older and smarter. Happy Bday! Happy Birthday! I hope that you will have a cheerful celebration with family and friends! Do not forget to say thank you for all the people who sing your birthday song and let me thank you for letting me celebrate with you. Wonderful Birthday! It does not matter if you will have a huge party or not. What matter is that you are alive and we are grateful to you for changing us for the better. Happy Birthday! Best Birthday! 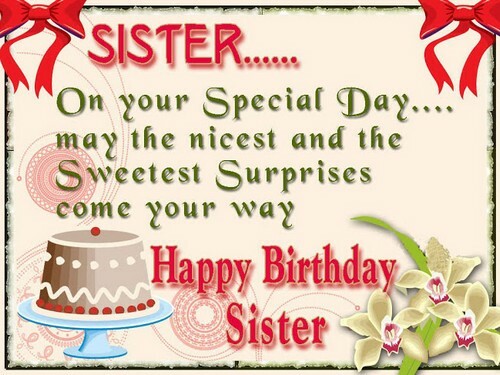 Hope you will have a terrific and remarkable celebration. A simple wish for a simple girl who means the world to me. I love you and happy birthday! Happy Birthday! Celebrate the fact that you were born in this world not to fit in but to stand out. Be proud! Wishing you truckloads of happiness and memories to be cherished. Happy Birthday! 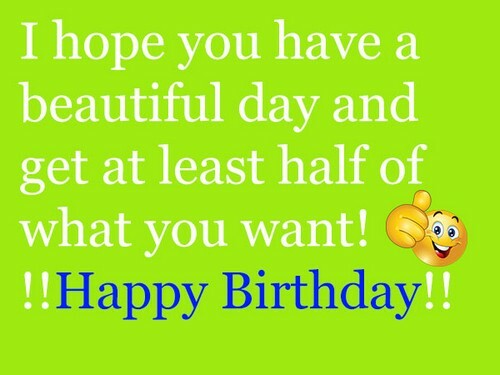 Before you fall asleep tonight bear in mind that you have a friend who’s wishing you to have the happiest birthday ever! We are 450 miles apart but it won’t stop me from wishing you a wonderful bday! Time check 12:01AM. I did not sleep early so that I will be the first one to greet you a best bday and wish you everything your heart aspires. The gift I carry will make your heart merry. Best Bday! Wonderful Bday! May fate enlighten you on the new coming chapter of your life. You have the spotlight on you today. Enjoy and savor every moment of it. Happy Birthday! Best Birthday! Keep in mind that you are such a great person and you are loved by many and I am one of those. Enjoy your special day! Spend this day with people who can and will make you laugh for this is your special day. Happy Birthday! Happy Birthday! Wishing that all of your heart’s desire be fulfilled and granted. I can’t imagine my life if you were not born in this world. Happy Birthday! You are such a blessing to me. The air whispers something in my ear. Oh! It is your birthday! Wonderful Birthday! Happy Bday! Live your life with happiness and filled it with memories worth to be treasured. You are such a beautiful person with a beautiful soul. Happy Birthday! Happy Birthday Dude! Wishing you to have a good health for you to achieve all the things in your bucket list. Happiest birthday to the man whom I valued the most! Each time a wish for you to be happy, each wish becomes a star. That is why the sky right now is shining bright with all my wishing stars. Happy Bday! Sending you my warmest greetings on your chilling birthday. Enjoy the party! Happiest birthday to the coolest and most relax friend that I ever had! Let us get the party started! I can’t make it to your party but it doesn’t mean that my wish is not hearty. Happy Birthday! Happy Birthday! Let us drop the beat and grill the meat! Keep the drinks pouring! A healthy heart is all I wish for you. This day I hope you will be at your happiest. Happy Birthday! Happy Birthday! Have a blast on your day for it will only last today. Why? Because tomorrow is Monday and you shall go back to work or else no pay. I wish that you will already find your better half, so go hurry now for he might be waiting for you. Wonderful Birthday! You are as strong as a steel, as slick as an eel and has a huge heart to feel what is real. Enjoy this day and have the happiest birthday ever! This is the most perfect day to take a break to say that I am wishing you ever joy and best of luck and glee for you every day! Keep in mind of how many we are who adore and cherish you and we too shall treasure all the memories with you. Best Birthday! My world may go blind if I keep you out of my mind. So here’s a tender wish for you sweet bliss, stay caring and loving. Happiest birthday earthling! May God shower you with all his graces! Wonderful Bday! Wishing that heavens will guide you on your journey wherever you go. Best Bday! Best things are about to come your way so be ready, for the mean time let me greet you a happy birthday! Best Bday! Stay alert. Stay alive. Stay awesome. Spread your unconditional love to many people who’s about to become a part of the new chapter of your life. Happy Birthday! Keep dreaming and keep reaching them. Wonderful Bday! Have fun and enjoy this day. Quit thinking about the past. Look ahead of you. Happiest birthday sweetie! I keep track of your age so don’t you ever lie to others or else I will bust you. Just kidding! Best Birthday! Actually, I mean it. I am honored to light the candles on your cake because it feels like I am lighting your path ahead. Wonderful Birthday!